Nothing says I love you like a little possession. 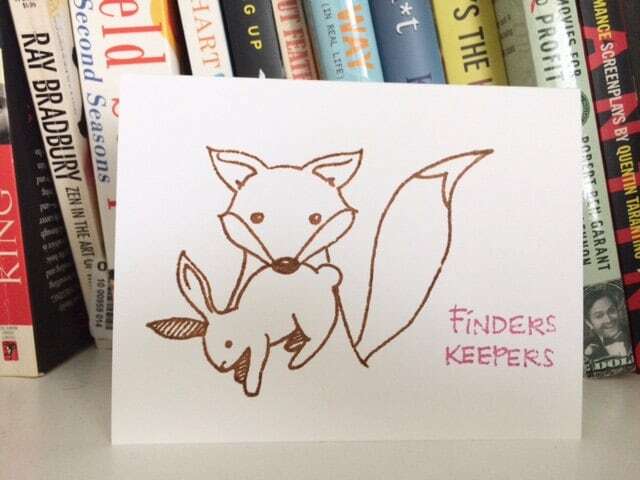 This blank "Finders Keepers" card conveys that sentiment perfectly. This card was drawn, printed and hand-colored by yours truly. It will come with a coordinating envelope and protective cello sleeve. Fantastic seller. Thanks so much!